In this masterful guide to the full spectrum of vajrayāna practice, Pema Tinley leads the reader along an exciting path of self re-discovery towards the all-encompassing state of deep natural awareness – the completely perfect condition of buddhahood, endowed with wisdom, compassion and abundant joyful energy. Moving from a simple series of daily contemplative practices that gradually bring the errantly wandering mind under control and train it to focus upon the true meaning of life, the author skilfully encourages his audience eventually to abandon all meditation on “objects with signs” until it can rest easily without supporting props in the vast expanse of blissful awareness in which all appearances are recognised as the spontaneous display of non-dual emptiness. This book does not only contain a detailed practical explanation of the Five Nails, but also an introduction to meditation practice through the yogas of waking, sleeping, bathing, eating and daily practice as well as the preliminary practice of body, speech and mind. It explains in detail how to do the Five Nails practice, which is the Northern Treasure entry into the path of secret mantra, and gives explanation of its deeper meaning. The book also explains the extraordinary preliminaries, which consists on focussing the mind on one’s body as the deity, focussing the mind on one’s speech as mantra and focussing on the mind itself as the deity’s insignia. In the end of the book the main practice will be explained as achieving the view through meditation and achieving meditation through the view and finally various modes of empowerment for the direct introduction and oral instructions for those who have received the direct introduction. This book is a wish-fulfilling gem for any serious practitioner and a reliable companion an this path to give meaning to ones live. Khenpo Chowang, is mainly known through his visits to Darnkow during the summer retreats where he accompanied and translated for H.H. Taklung Tsetrul Rinpoche. He did this also during the transmission of this specific teaching. He is a teacher in two Shedras in Gangtok, Sikkim, where he also teaches in detail about the „Five Nails“ with the help of Pema Tinley’s text. He lives at the Gonjang monastery, above of Gangtok. Khenpo-la is a sovereign scholar and teacher and most helpful during the Jangter Summer Retreats at Drophan Ling in Poland. Martin Boord is well known as a western expert of the vajrakila practice. 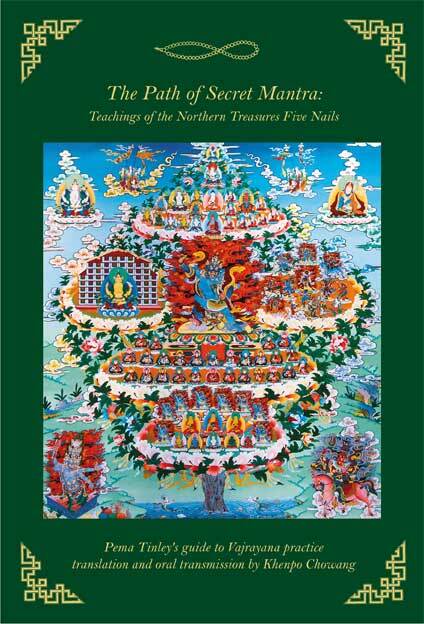 He has translated many texts of Pema Tinley and is well versed with this teaching of the five nails. More about Martin Boord on our website here. deutschsprachig im Rezitationsformat, aus dem Buch: Die Fünf Nägel. 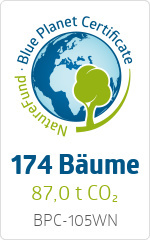 Die vorbereitenden Übungen der Nördlichen Schätze. Terma von Rigdzin Godem, Editiert von Khordong Terchen Tulku Chhimed Rigdzin Rinpoche. Überarbeiteter und ergänzter Praxistext. edition khordong, Wandel Verlag. Berlin, 2013. ISBN: 978-3-942380-14-0. Dieser Beitrag wurde unter Bücher, Englischsprachige Bücher abgelegt und mit Tantra, Vajrayana verschlagwortet. Setze ein Lesezeichen auf den Permalink.